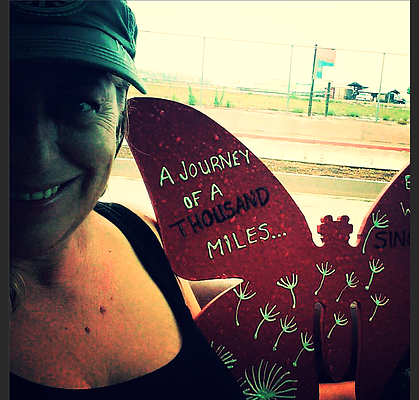 The Butterfly Effect movement is all about spreading love and acts of service that bring about change in our world. We have had the opportunity to partner with many people and organizations who share our vision, it’s been amazing to see how these droplets of change are moving through communities all over the world. 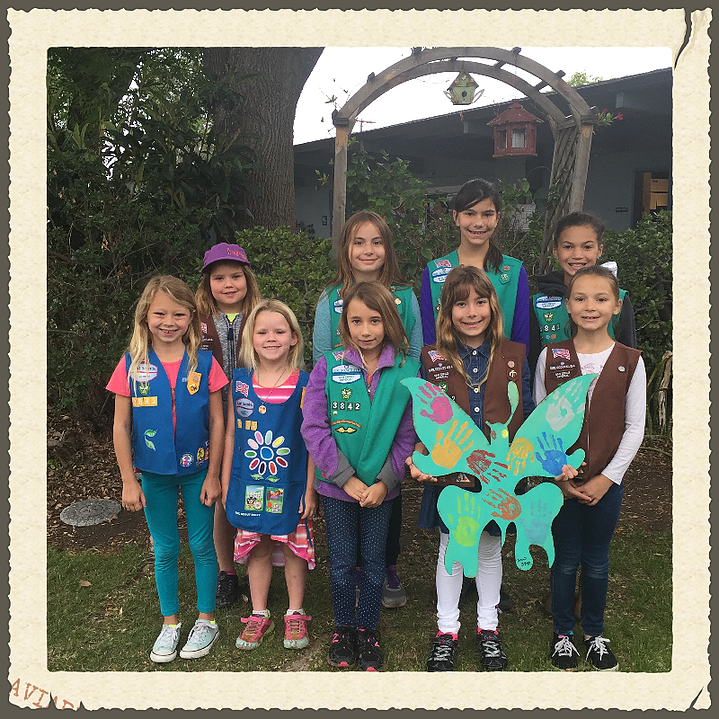 One organization that we recently teamed up with is the San Diego Girl Scouts, Serra Mesa Unit 628, Troop 3842. This partnership is a natural one, Juliette Gordon “Daisy” Low, started the first Girl Scout troop in 1912 with the strong belief in the power of every girl to change the world, since then her vision has become a reality in troops all over the world that are helping girls discover their strengths, passions and talents through their mission that “Girl Scouting builds girls of courage, confidence and character who make the world a better place”. 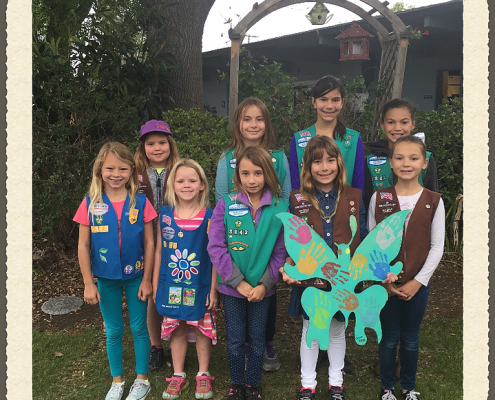 The girls in Troop 3842 are ages 8-11 and have been learning how to serve their local community as a focus of their regular meetings. I met Troop leader Emily Jones at our neighborhood YMCA and as our friendship and conversations progressed we realized we shared a similar passion to impact our local community in surprising and creative ways. 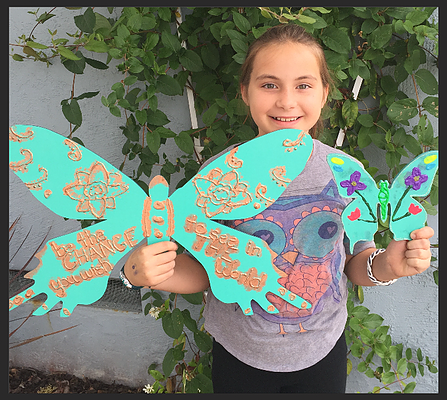 When I told her about the Butterfly Effect, Emily was excited to get her troop involved. 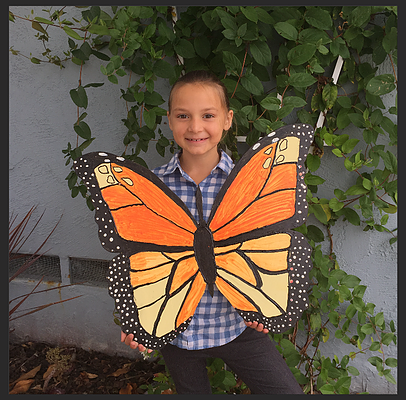 To date, the troop has decorated several butterflies that are on stand by for future Drops and one that was Dropped and claimed by Amber Hendrix, with the donated funds going to Heifer International. 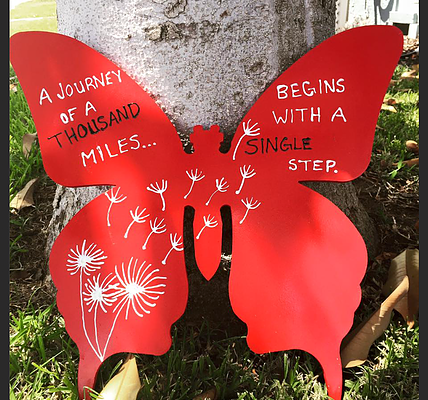 One of the most exciting aspects to this story is, as the girls have watched the Butterfly Effect on social media with their parents, their passion to Be the Change has continued to grow. When all their Cookie sale money was counted and the yearly budget was being discussed, they unanimously decided to donate $250 to Butterfly Effect for a future Drop. When faced with the choice between a fun outing or giving the money to someone in need, the girls all chose giving away the money they had worked so hard to earn by selling cookies. 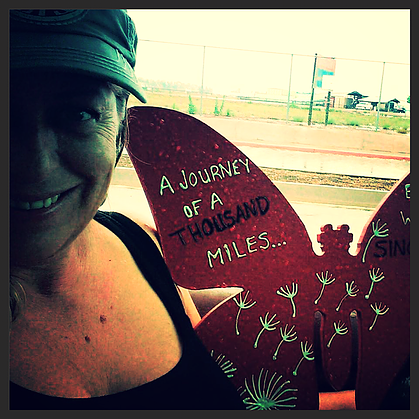 Reflecting on the experience, Emily Jones proudly stated several unintented effects. 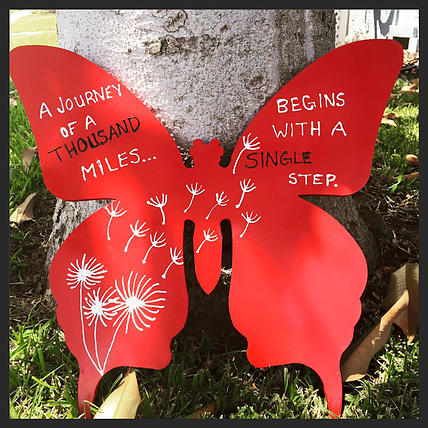 Little butterflies, little girls and little acts of kindess can make a difference. . .